Meet the I-STOP Requirements and Start e-Prescribing Today! 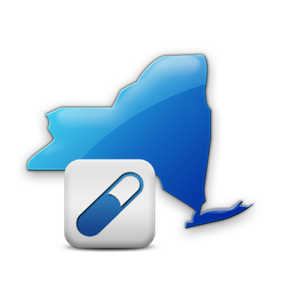 As of March 27, 2016 the State of New York started requiring all prescriptions be sent electronically. MDToolbox is a New York State approved vendor and our e-Prescribing software, MDToolbox-Rx, meets all of the New York State I-STOP requirements for e-Prescribing and EPCS. As of March 2016, all prescriptions are required to be sent electronically in New York. The Internet System for Tracking Over-Prescribing (I-STOP) Act was passed in June of 2012 and mandates that controlled (Schedule II-V drugs) and non-controlled substances must be electronically prescribed. On March 27, 2013, amendments to Title 10 NYCRR Part 80 Rules and Regulations on Controlled Substances went into effect, allowing providers in New York to electronically prescribe Schedule II-V drugs. As noted above, ALL prescriptions must be sent electronically, including controlled substances. The New York State Department of Health, Bureau of Narcotic Enforcement (BNE) requires each prescriber who would like to transmit electronic prescriptions for controlled substances to register with them. All prescribers must register their electronic prescribing software and be able to provide proof of a DEA certification or third party audit verifying the software meets the federal security requirements for transmitting controlled substance prescriptions electronically. Prescribers must also attest that they have personally met the federal requirements of going through identity proofing and receiving their two-factor authentication credentials for EPCS when registering with the BNE as well.